Dr. Shin Hyun-Deok, president of Samsung Line Plastic Surgery Clinic performing an operation on a patient at his clinic. Medical tourism is fast becoming the discourse among local peoples in South Korea as increasing number of foreigners from overseas visit the nation for both tourism and medical treatment. In the year 2012 the number of inbound medical tourists will hit 100,000 by the South Korean government’s estimate. 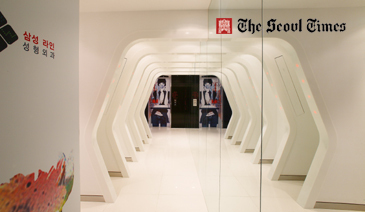 Samsung Line Plastic Surgery Clinic is in the vanguard. 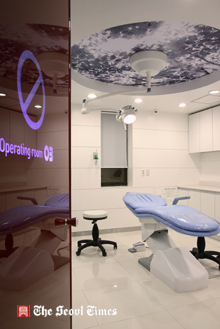 Equipped with highly-trained medical and consulting staff and state-of-the-art medical facilities Samsung Line is leading the nation’s medical tourism. The Seoul Times has recently met with Dr. Shin Hyun-Deok, who runs the clinic in the Seoul’s posh area to listen to what’s going on in the area of plastic surgery and how his clinic is preparing for medical tourists. The following is the full text of the interview. Q1: First of all, we would like to thank you for your time for this interview. Please tell us the advantages of your clinic and your medical staff over other clinics. What are the differences of your clinic from others? 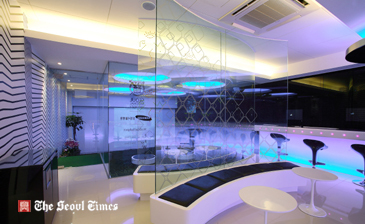 A1: Unlike other plastic surgery clinics Samsung Line has its own building. This means we use the entire five floors in this building. We have enough space for the needs of our customers. Big enough space, such as consulting rooms, operating rooms, and recovery rooms, is giving our customers a sense of privacy. Securing enough space for the patients who want to undergo aesthetic surgery on face, breast, and abdomen, we can provide them with a relaxing place. Patients are tired of hustle and bustle of every day urban life, so Samsung Line aims to be such a refreshing place as a park. Most cosmetic surgery clinics in this area are run by only one doctor. But we have as many as five plastic surgeons. They are all highly-trained professionals who accumulated the experience and knowledge from such eminent medical institutions as Seoul National University and Samsung Medical Center. With this experience we conduct various plastic and reconstructive surgeries on the patients with a variety of needs. Other clinics are hard to conduct these surgeries. Q2: What are the recent trends of the cosmetic surgery? What are the special medical services that only you and your clinic can offer to the patients? A2: In case of America which has the most developed technology on plastic surgery the most frequently conducted surgery are Liposuction (suction-assisted fat removal) and breast augmentation. In our nation eyelid surgery (Blepharoplasty) and nose reshaping (Rhinoplasty) are most common, but the number of Liposuction and breast augmentation cases is on the steady rise in recent years. Plastic surgery on calf will also be increased in my opinion. Different from other clinics, Samsung Line has gained lots of experience about eyelid surgery (Blepharoplasty) and nose reshaping (Rhinoplasty) as well as breast augmentation. We also have enough expertise and experience on surgery on calf and abdomen called “Tummy Tuck.” We have most up-to-date knowledge and skills on body contouring surgery, which is rare at other clinics. In particular, all of our consulting and medical staff is pretty well versed in English language. This will make our foreign customers feel very comfortable. Also we have one Japanese-language interpreter for the patients from Japan. On the side, we offer such other services as valet parking, limousine, and hotel care services for the benefits of our foreign patients. Q3: How would you rate the level of Korean medical skills particularly in the field of plastic surgery? What, do you think, makes people from Southeast Asian and other countries travel to South Korea for plastic surgery? A3: It was in 1960s that the plastic surgery started in South Korea. Our nation has relatively short history of less than 40 years when it comes to the cosmetic surgery. Compared with Western countries we had a late start. But, thanks to the sincerity and tenaciousness characteristic of Korean people, studies on plastic surgery began to develop very fast. And by the late 1980 the level of our plastic surgery skills reached that of advanced Western nations. South Korea is now regarded as the nation where technology and skills on cosmetic surgery on mandible angle, and bone are most developed. Our facial bone surgery skill is most advanced of all kinds of surgery in the world. In addition, South Korea has achieved outstanding achievements in aesthetic surgery on eyes, noses, breasts, and fat suctions. All in all, our nation is one of the most developed and advanced as far as plastic surgery skills are concerned. Q4: What are your plans to globalize South Korean medial service on plastic surgery? A4: Opening the local medical market to the world will be further expedited. So it is expected that the medical professionals and investment from Western nations will pour into the Korean market. Even if our plastic surgery technology is one of the world’s most advanced one, we should keep developing our skills and technology to further sharpen our international edge. As for our clinic, we plan to hire more medical staff to better serve foreign patients from such countries as Japan and China as well as English-speaking countries. We will also bolster our already multi-lingual website for our foreign patients. Q5: We wonder there are too many plastic surgery clinics in the nation. Is there any problems coming out of that? A5: Presently there are an estimated 1,500 plastic surgeons registered with the local medical authorities. But only 1,200 plastic surgeons are in operation. Compared with advanced countries the number is not too high. The problem is that doctors specializing in not plastic surgery but other areas often practice cosmetic surgery in violation of traditions. The real problem is there is no regulatory system to stop them from practicing plastic surgery. As long as they hold medical license they are legally allowed to perform cosmetic surgery. Problem lies in here. Only highly-trained plastic surgeons are able to take care of side effects and complications arising from the surgery. So, I strong recommend that people should visit plastic surgeons not doctors of other specialty. Q6: We would like to give you some personal questions. What made you choose this plastic surgery and what are your personal plans for the future? A6: I thought that this would be the area I could excel in. I am very careful and skillful person. And I also thought that this plastic surgery area would have a very bright prospect. My future plan is to turn this Samsung Line into South Korea’s best one to lead others. For that goal I and my medical staff should become prominent plastic surgeons first. 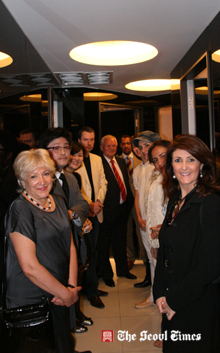 Dr. Huh Chul (2nd from left) leads a group of foreign envoys and family to Samsung Line Plastic Surgery Clinic. Q7: We would like to know more about you. Tell us about your education and family and hobbies, please. A7: I graduated from Seoul National University’s medical school. I became the plastic surgeon at Samsung Medical Center. I also serve as a faculty member at Samsung Medical Center’s Plastic Surgery Department. Regarding my family, I am married to Mrs. Cho Kyung-Hee. We have one son (Shin Min-Chul, fourth grader), who wants to become a plastic surgeon like me. Well, actually that is my wish as well. My hobbies include physical exercise. But these days I do not seem to have enough time for any exercise. In my clinic I feel relaxed when I watch a small aquarium where fish freely swim. Located in Seoul's posh area of Gangnam and equipped with state-of-the art facilities, Samsung Line Plastic Surgery Clinic is one of the leading plastic surgery clinics in South Korea, which has emerged as the "Mecca" of cosmetic surgery for foreign visitors from neighboring countries. On the strength of the recent booming of medical tourism worldwide, South Korea (particularly Seoul's Apgujeong-dong and its adjacent areas of Shinsa-dong and Cheongdam-dong) has been swarmed with both local and international customers on the quest to improve their looks. 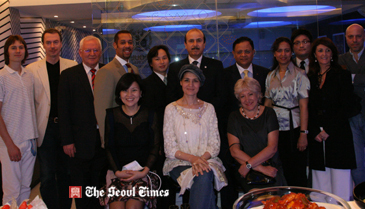 Dr. Shin Hyun-Deok (5th from left standing) poses with foreign ambassadors and family at his clinic. Sitting at left is Mrs. Cho Kyung-Hee, wife of Dr. Shin. Among the highly-trained cosmetic surgeons of Samsung Line are Dr. Shin Hyun-Deok, Dr. Seo Sang-Hoon, and Dr. Huh Chul, all in the vanguard of practicing the best of plastic surgery in the nation. They are regarded as one of the most proficient plastic and cosmetic surgeons in Seoul. Dr. Shin, Hyun-Deok, who represents the clinic as its president, specializes in maxillofacial surgery (facial contouring) and breast surgery and rhinoplasty(nose surgery). Dr. Shin has been recognized as a noted surgeon for his precision operation since he served as a faculty member at Samsung Medical Center and at Su Plastic Surgery Clinic. 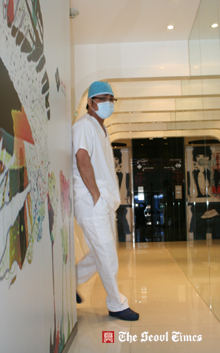 Dr. Seo Sang-Hoon's specialty is in the areas of body contouring and liposuction. Dr. Seo is well-known for his abundant experience coming from his years of work at Kyung Hee University Medical Center and Anacli Plastic Surgery Clinic. 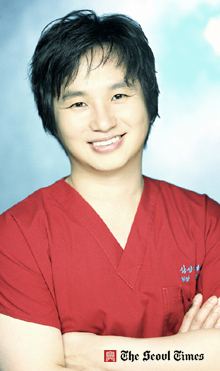 Last but not least Dr. Huh Chul, who is well-versed in English, specializes in breast reduction and tummy tucks. Dr. Huh has also been regarded as a highly-acclaimed aesthetic surgeon for his precision operation since his work as a plastic surgeon at the Samsung Medical Center. With his excellent command of English Dr. Huh is very helpful to the foreign customers. Samsung Line medical team always ensures that the patient's safety is its primary concern and top priority. The ultra-modern and highly fashionable interior design of the clinic building can give patients a sense of security and comfort. Receptionists at the front desk in the lounge are attentive to the needs of the visitors once they enter the five-story building. A professional counselor can give customers more exact and better-informed services. Even if Samsung Line Plastic Surgery Clinic is located administratively in Shinsa-dong, it is closer to the heart of Apgujeong-dong, the "Mecca" of cosmetic surgery in the nation. 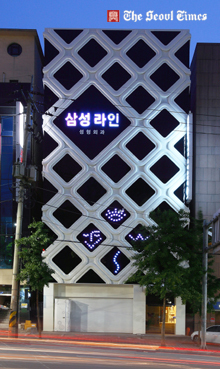 Apgujeong-dong is a high-fashion and entertainment area with a number of beauty related shops including plastic surgery offices, skin care clinics, hair salons, and manicure shops. Among hundreds of plastic surgery clinics in Apgujeong-dong and its adjoining areas Samsung Line Plastic Surgery Clinic is one of a few of the clinics which use the whole building for their work. 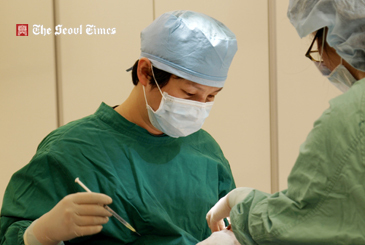 There are nearly 900 plastic surgery clinics in Seoul alone. In the case of Samsung Line, each of its five floors and the basement has its own distinctive role, catering to the needs of the individual customers. The whole arrangement is designed to offer the utmost privacy and comfort to the patients. The unique exterior design of the Samsung Line building looks very attractive, neat and clean. Movie stars and other cultural icons are some of the frequent visitors to the clinic. For reservations or inquiries please call 82-02-545-1303 or visit Samsung Line Plastic Surgery.